Getty ImagesRoyal Caribbean Cruise line’s ‘Ovation of the Seas’ on Dec 29, 2017 in Sydney, Australia. Under CEO Michael Bayley, Royal Caribbean has doubled earnings and received a double-digit return on invested capital. Bayley has focused on upgrading the cruise line’s luxury offerings and on making it easier for passengers to spend money on services and experiences before their cruise begins. He contested criticism that Royal Caribbean has received over its handling of Hurricane Harvey and norovirus outbreaks. Royal Caribbean has made the world’s largest cruise ship – again. The 228,081-ton Symphony of the Seas is not much heavier than the last ship to hold that title, Royal Caribbean’s 226,963-ton Harmony of the Seas, but it illustrates one of the company’s core philosophies: bigger is better. You might think Royal Caribbean would be concerned about putting too many things in too large a space and turning its customers’ vacations into one, long exercise in FOMO-induced anxiety. But according to CEO Michael Bayley, variety is the whole point. Scale is not an end in itself, but rather, a way to ensure a cruise ship offers something for everyone. “I think size, scale, allows huge choice in options,” he said in a recent interview with Business Insider. When asked about the strategy he’s used to guide Royal Caribbean in his three years as the company’s chief executive, he emphasised segmentation: sorting passengers into groups based on what they would want from a cruise. A family of four, for example, is going to want different features and accommodations than a group of college students on spring break. And within both groups, everyone will have a different set of preferences. “When you’re going on vacation, especially if you’re multi-generational, everybody wants their space. They want their experience,” Bayley said. Bayley has approached segmentation from two angles: expanding the number of food, entertainment, and lodging options passengers have on Royal Caribbean’s cruises, and making it easier to spend money on them. 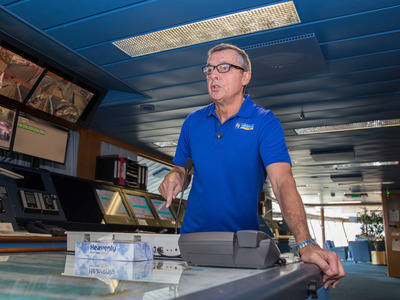 To the former, Bayley upgraded the company’s luxury offerings, which included the introduction of the Ultimate Family Suite on Symphony of the Seas. The 1,346-square-foot Ultimate Family Suite features an 85-inch television, three video-game consoles, a 100-foot Lego wall, air hockey, a ping-pong table, and a two-story slide. For a seven-night, Eastern Caribbean cruise that departs in December 2019, the suite costs $US64,862. According to Bayley, value is a combination of price and quality. If the quality is high enough, you can raise the price accordingly. The Ultimate Family Suite is expensive. It’s also sold out for much of the next year. “People are perfectly happy to pay for a product that they perceive as being of value, and we just elevated that perception of value and we elevated the price,” he said. But Royal Caribbean’s segmentation efforts reach beyond wealthy passengers. Sometimes, it’s as simple as building more waterslides. Royal Caribbean doesn’t want all of its features to be a surprise for passengers. In fact, it wants to give them as many opportunities to spend money before their cruise as possible. That’s because, generally, people don’t think about spending rationally. We tend to think of prices as relative, rather than absolute, which means we’ll pay $US12 for a drink we don’t need after spending $US80 at a bar – because $US12 seems small compared to the total amount of money we’ve already spent. The same logic applies to booking a cruise. If you’re spending hundreds or thousands of dollars on a vacation, adding another few hundred dollars for an excursion or drink package doesn’t seem as expensive in the context of a larger purchase. And once you’re on the cruise, you’re less likely to consider the money you’ve already spent when making your on-board budget, which means you’ll probably spend more overall. Bayley’s emphasis on segmentation has paid off. In January, Royal Caribbean announced it had achieved its three-year goals of doubling earnings and receiving a double-digit return on invested capital. In fact, things have gone so well that, when asked about the biggest mistakes he’s made during his tenure as CEO, Bayley couldn’t name a single example. 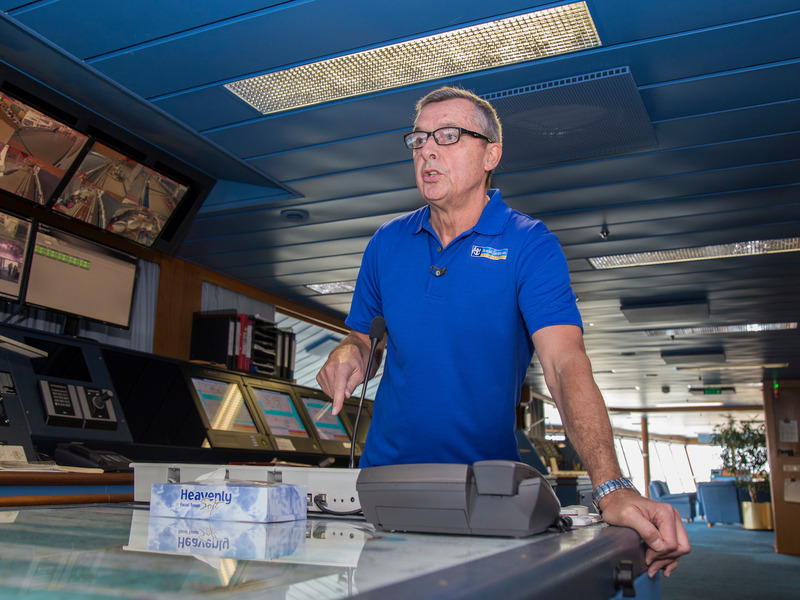 His mind went to last year’s tumultuous hurricane season, but only to point out that Royal Caribbean “did everything right” in its response to Hurricanes Harvey, Maria, and Irma. It’s true that Royal Caribbean used its ships to evacuate people and deliver food, water, medical supplies, and generators to areas affected by the storms. It’s also true that a class-action lawsuit filed in September accused the company of encouraging hundreds of customers to fly into Texas in the middle of Harvey (which hit Texas on August 25) for a cruise that was scheduled to leave on August 27. Royal CaribbeanWhile Bayley said Royal Caribbean ‘did everything right’ in response to Hurricanes Harvey, Maria, and Irma, some customers disagreed. The class-action lawsuit alleges that customers were told by Royal Caribbean employees they wouldn’t be eligible for a refund if they cancelled their reservations until August 27, one day before the cruise – which was rescheduled on the 26th – was set to begin. The cruise was rescheduled for August 28, and customers were offered a full refund in the form of a cruise credit. Later that day, the cruise was cancelled. “We always recommend people take out travel insurance, which many people do, and they avoid this entire scenario because in that situation, they simply cancel and get reimbursed,” he said. Personal responsibility is a theme Bayley returned to when discussing norovirus, an illness that’s highly contagious and spreads through food, water, or contact with someone who’s sick. The symptoms of norovirus resemble the flu and food poisoning, and enclosed, densely-packed spaces where occupants consume food and water from the same sources – like on cruise ships – are particularly susceptible to outbreaks. In December and January, over 500 Royal Caribbean passengers suffered from norovirus on the company’s cruises, but according to Bayley, the sanitation levels on Royal Caribbean cruises are exceptional. “I would bet many paychecks [sanitation levels are] going to be significantly superior to probably any hotel that you’ve been in in the last month, any restaurant you’ve been in, pretty much anywhere,” he said. The evidence, for the most part, backs him up. The Centres for Disease Control and Prevention has reported 110 inspections of Royal Caribbean ships since Bayley became CEO, and 108 scored at least 86 points out of 100, enough for a “satisfactory” rating from the agency. According to Bayley, the easiest and most effective way to prevent the spread of ship-borne illness is simple, but difficult to enforce. “The simple fact is that if people washed their hands, there would be no norovirus,” he said. Royal Caribbean has taken steps to remind passengers to wash their hands, including making animated videos that play on in-room televisions. But if you’re in the business of giving people everything they want, they might not always return the favour.